Explanation: What are those strange filaments? Background galaxies. Gravity can bend light, allowing huge clusters of galaxies to act as telescopes, and distorting images of background galaxies into elongated strands. 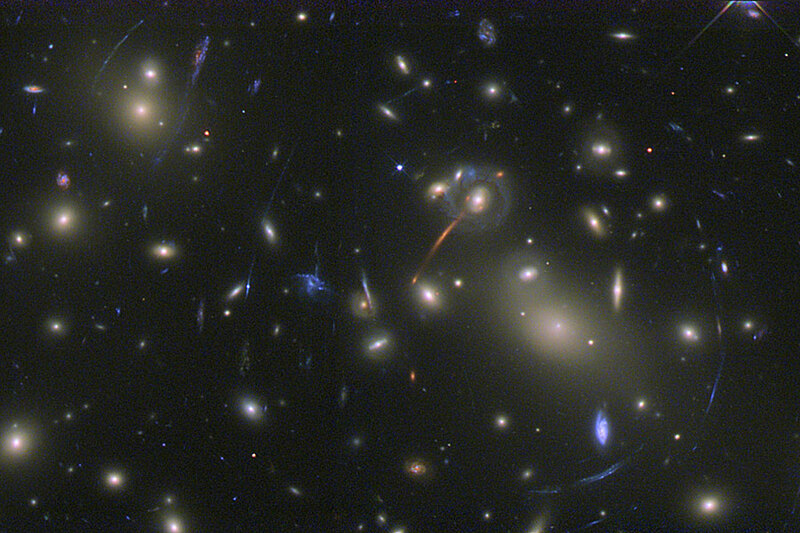 Almost all of the bright objects in this Hubble Space Telescope image are galaxies in the cluster known as Abell 2218. The cluster is so massive and so compact that its gravity bends and focuses the light from galaxies that lie behind it. 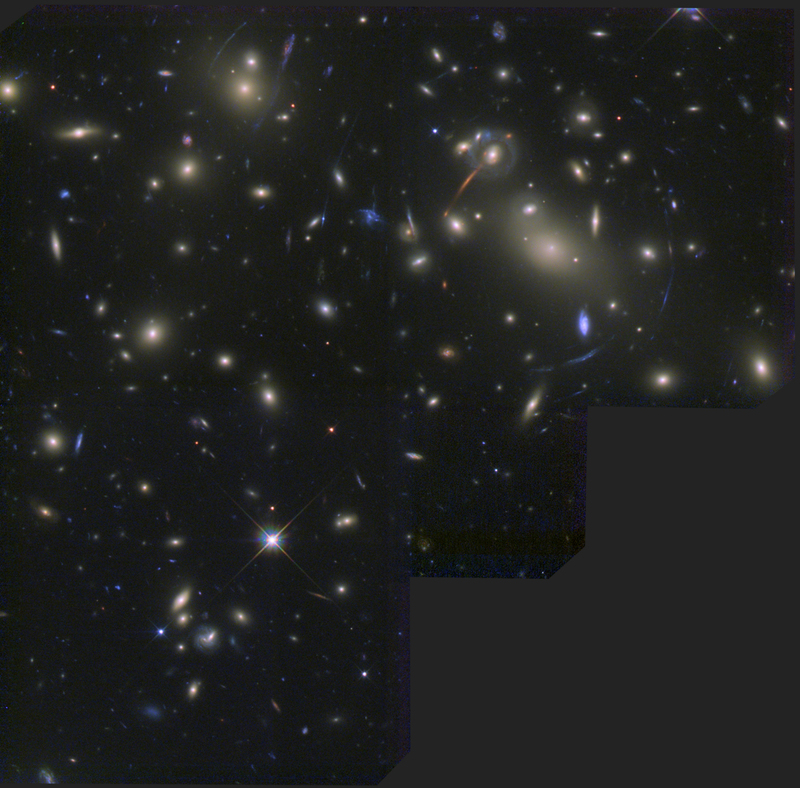 As a result, multiple images of these background galaxies are distorted into long faint arcs -- a simple lensing effect analogous to viewing distant street lamps through a glass of wine. The cluster of galaxies Abell 2218 is itself about three billion light-years away in the northern constellation of the Dragon (Draco). The power of this massive cluster telescope has allowed astronomers to detect a galaxy at the distant redshift of 5.58.